What a wonderful, long weekend! We had lovely Thanksgiving celebrations with both sides of our families. I even managed to not over eat either day - well, not to the point where I had to take a nap, anyway! We're fundamentally opposed to shopping on Thanksgiving Day (and also, kind of over the whole idea of fighting the rush and standing in long lines), we waited to do our Black Friday shopping until Friday. But it just wouldn't be the same if we didn't get up early to go, so six of the ladies on my side of the family headed out about 7 a.m. to go grab up some bargains after a quick coffee stop. It's as much about being together as it is about the shopping and I wouldn't miss it for the world. Yesterday temps here reached into the 70's and by the end of the day I think every man on the block had been out putting up Christmas lights, including The Big Guy. The city had kicked off the holiday season Thursday night so we went off to a couple of areas in town to see the lights, enjoy some seasonal music, and view some Christmas window displays and what a beautiful night to do it! Listening To: I'll be pulling out the Christmas music shortly to listen to while I start the decorating today but will stick to some lesser played pieces. I'm sure I'll get all of the "Jingle Bells" and "Silent Night" I need before we get to Christmas so I can't quite start those yet. Watching: Today's press conference by the University of Nebraska Athletic Director announcing the firing of our football coach. It's been a roller coaster ride with Bo Pelini these past five years. I think he's essentially a really good person and the players love him but our expectations in this state are higher than what he can deliver. Reading: I'm planning to finish The Secret History, Sea of Poppies, and From The Mixed-Up Files of Mrs. Basil E. Frankweiler this week. Since I've already read this month's book club selection, I'm not sure what I'll pick up next. I'll have to see what's left to read for my challenges. Making: Some chicken dishes - a version of stroganoff and a pot pie using a stuffing crust instead of pie crust (both new creations we'll do again), guacamole, and cinnamon rolls. Planning: On putting the finishing touches on the guest room this week, finishing up the Christmas decorating, and continuing the work on "my" room. A few pieces left to be brought in and a fair amount of organizing to do and then I can begin really using it. Can't wait! Grateful for: Family, family, and family! Enjoying: The long weekend with time for celebrating and lots of productive work around the house. Wish we could have a four-day weekend every month. Feeling: Still unmotivated to put up my holiday decorations. Even though I'm doing it. Looking forward to: It's too early to say summer, isn't it? Gotta find a way to make myself look at the good as we head into the long months of winter. Ideas? 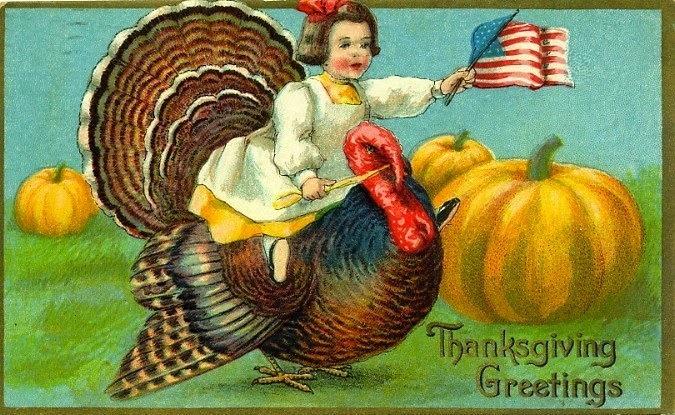 Happy Thanksgiving to my U.S. readers! I hope that, no matter your circumstances and surroundings today, you are finding some time to give thanks for the blessings in your life. We will be blessed to be surrounded by family, celebrating with an abundance of food and our own crazy holiday traditions. Chicago, 1920: Hadley Richardson is a quiet twenty-eight-year-old who has all but given up on love and happiness—until she meets Ernest Hemingway. Following a whirlwind courtship and wedding, the pair set sail for Paris, where they become the golden couple in a lively and volatile group—the fabled “Lost Generation”—that includes Gertrude Stein, Ezra Pound, and F. Scott Fitzgerald. Though deeply in love, the Hemingways are ill prepared for the hard-drinking, fast-living, and free-loving life of Jazz Age Paris. As Ernest struggles to find the voice that will earn him a place in history and pours himself into the novel that will become The Sun Also Rises, Hadley strives to hold on to her sense of self as her roles as wife, friend, and muse become more challenging. Eventually they find themselves facing the ultimate crisis of their marriage—a deception that will lead to the unraveling of everything they’ve fought so hard for. Despite reading a lot of good reviews for this book, I've been put off by it for reasons that seem to have been largely judging a book by its cover...and its title. Even though I knew the book was about Ernest Hemingway's first wife, Hadley Richardson, I'd look at the title and that cover and my brain would say "this is a book about a 1950's wife, blah, blah, blah." But with so many bloggers touting it as a good book club choice, and having recently read Hemingway's A Moveable Feast, I decided to have our book club read The Paris Wife this month. Thank you to all who encouraged me to make that choice! What an excellent book club selection, particularly when you have a group of ladies who have read some Hemingway (in fact, our group read The Sun Also Rises in 2013, which features prominently in this book) and when you have a member who is familiar with Hemingway's third wife, Martha Gelhorn. We had one of our best discussions ever about this book - we talked about the marriage of Ernest and Hadley, about what made Hemingway act the way he did, about the lives and morals of the people who ran with the Hemingways, and about the choices the Hemingways made. Hadley Richardson would have made Tammy Wynette proud, standing by her man as she did for so long. When they married, Hadley made the decision that her role was to support Ernest and she spent most of their years together allowing him to make most of the decisions in their marriage. For reasons that were easier to understand after reading the book, Hemingway was a very difficult man to be married to, requiring, as he did, constant stroking of the ego and his need for the world to revolve around him. Hadley was not, by her own admission, a "modern" woman who never felt entirely at home in Paris where the fashions and the morals were changing rapidly. But she so loved Ernest that she put up with his moods, his selfishness, and his hypocrisy. Eventually Hemingway pushed away all of his old friends (including Ezra Pound and Gertrude Stein) and Hadley. At the end of his life, though, Hemingway admitted "I wished I had died before I ever loved anyone but her." I'm sure my appreciation for this book was enhanced by the fact that as I was reading it I was thinking about how different aspects would make great discussion points. But I would have enjoyed it even without those thoughts; it's a well-researched book, McClain has done a fine job of channeling Hemingway's style in dialogue, and she's made her characters if not necessarily likable, at least understandable. 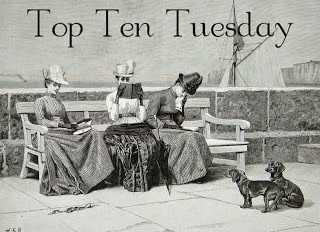 This week the lovely girls at The Broke and The Bookish have invited us to share the top ten books we're looking forward to in 2015. As I'm always playing catch up (and trying to work through the back log of books I already own), I never really have a list of books to be published in the upcoming months, let alone the next year. So my list will include books that will be published in 2015 so my list will surely change a month from now. But for today, and in no particular order, as usual, here are the top ten books I'm looking forward to reading in 2015. 1. River Of Smoke and Flood of Fire by Amitav Ghosh: books 2 and 3 in the trilogy that started with Sea of Poppies which I'm just finishing up on audio right now. River of Smoke is already out and Flood of Fire will come out in the spring of 2015. You may recall that I'm terrible about finishing up series so these may come as a surprise, but one of my goals in 2015 is actually to do just that. Yikes! How did this week pass by so quickly?? Between a cold, book club, time with my girl, and a lot of work on "my" room, we've worked our way back to Sunday. 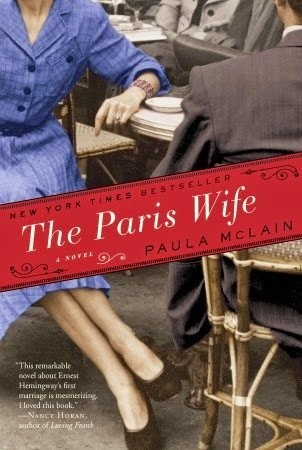 The Omaha Bookworms met Tuesday and had a great discussion about The Paris Wife by Paula McClain. We'd definitely recommend it for other book clubs. You've gotta know a book's discussion worthy when we spent as much time talking about the book as we did talking about other things! It finally warmed up enough this weekend that we were able to finish our outdoor work for the year. Just in time to put up the Christmas lights next weekend! Have any of you ever wintered a strawberry plant? I've brought in one in a small pot a month ago I'm going to try to keep alive with my herbs over the winter. Listening To: I'll finish Sea of Poppies this week then I'll be listening to podcasts for a while since I've neglected to get over to the library to pick up some new reads. 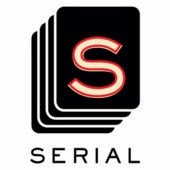 Have any of you started listening to "Serial," the podcast launched by This American Life? I think I'll download that to listen to next week. Watching: We rewatched the final episode of season one of Benedict Cumberbatch's "Sherlock" on BBC America and caught up with "Manhattan" in addition to our usual rounds of football, "The Voice," "Person of Interest," and "Elementary." Reading: I read both The Paris Wife and Jane Austen's First Love this week and now I'm back to The Secret History which is definitely starting to pick up. For some reason, though, it just doesn't call to me to pick it up and fall into it for a couple of ours at a time. Too many other things on my mind? Making: Omelets, skillet barbecued chicken and mashed potatoes, chocolate chip cookies. I know we were more productive in the kitchen than that this week - we actually made a plan every night before we went to bed for dinner the next night. Planning: On continuing work in my new space. The goal is to get everything in there and organized so I can start using it the next week. 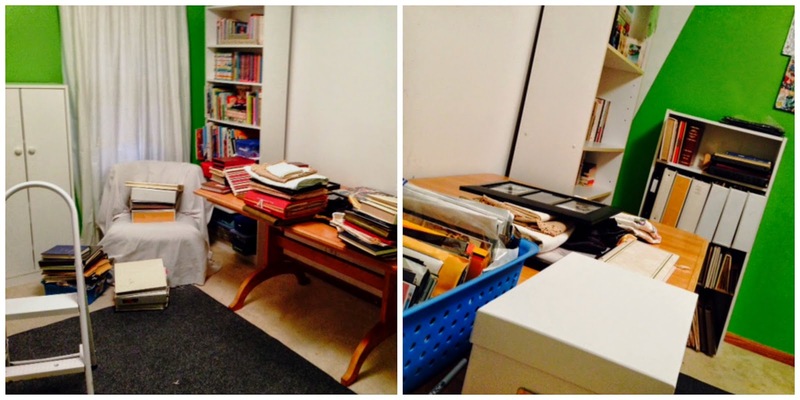 The books are largely in and organized; shelving and cupboards are almost all in place; and the sewing, crafting, and scrapbooking supplies are making their way up from the basement. Come spring I'll push it all back into the middle of the room so I can paint and then I can finally make curtains of fabric I've been holding on to for 20 years for just the right space. Grateful for: A pantry full of food. This time of year I definitely become more away of how many people are not so fortunate. My sister has challenged me to do some grocery shopping for a worthy cause, take a picture of it and post it to Facebook. I'll be planning meet that challenge this week. Moving photos mean I find things like this! Enjoying: Time with all of my kids this week. Had a two-hour lunch with Miss H on Thursday then she spent the night Friday night and spent most of yesterday with me. Today Mini-me came out to spend the day. Mini-him was around a good chunk of the time so he was happy to get to spend time with his siblings as well. We are blessed that they are all such good friends. Feeling: Content and confident. I'm getting used to Miss H being gone (heck, I've seen more of her since she moved than I did when she lived here! ), my house and yard are mostly in order, and I've got a plan to survive the holidays. Although, I kind of hate that I think of it as "surviving" instead of "enjoying." Looking forward to: Spending time with our families...and cranberries, sweet potatoes, pumpkin pie and Grandma's beans! 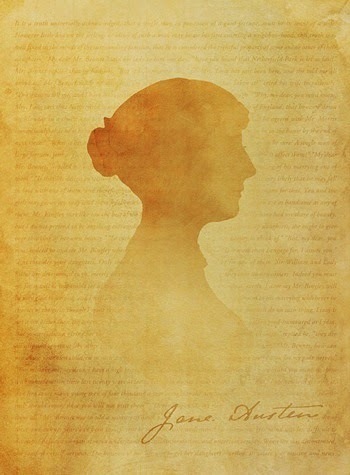 In the summer of 1791, fifteen-year-old Miss Jane Austen is determined to accomplish three things: to do something useful, write something worthy, and fall madly in love. While visiting at Goodnestone Park in Kent for a month of festivities in honor of her brother's engagement to Miss Elizabeth Bridges, Jane meets the boy-next-door—the wealthy, worldly, and devilishly handsome Edward Taylor, heir to Bifrons Park, and hopefully her heart! Like many of Jane’s future heroes and heroines, she soon realizes that there are obstacles—social, financial, and otherwise—blocking her path to love and marriage, one of them personified by her beautiful and sweet tempered rival, Charlotte Payler. Unsure of her own budding romance, but confident in her powers of observation, Jane distracts herself by attempting to maneuver the affections of three other young couples. But when her well-intentioned matchmaking efforts turn into blundering misalliance, Jane must choose between following her own happily-ever-after, or repairing those relationships which, based on erroneous first impressions, she has misaligned. 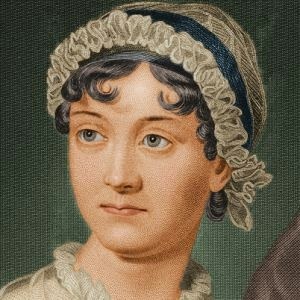 I'm a huge fan of Jane Austen (making my reservation soon for the annual tea to celebrate her birthday) but have I've had mixed results reading books based on her characters or her life. 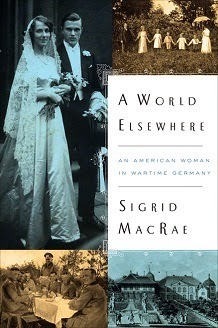 But I knew that this type of book is Syrie James forte so when I was offered this book for review, I didn't hesitate. It did take me a bit to get into the book but I think that's as much because I jumped straight from an entirely different kind of writing and historical time period as because of anything that James had done. Soon I fell into the rhythm of the book and was carried along with James' vision of Jane Austen falling in love for the first time, the ways of the wealthy in the late 18th century, and the kinds of people who might have influenced her writing. Edward Taylor was a real person, a man whom, Austen noted in a letter, she had once "doated" on. 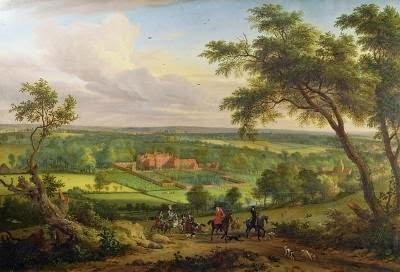 It's also a fact that Jane and her sister Cassandra traveled to Goodnestone Park to celebrate the marriage of their brother Edward to Miss Elizabeth Bridges. I'm a sucker for a book that blends real people into a fiction novel. James has taken the known facts about these characters and fleshed them out into characters who James imagines as the inspiration for characters who will later appear in Austen's novels. Jane herself, playing matchmaker among the couples present at Goodnestone Park, brings to mind the machinations of Emma Woodhouse, title character of her novel Emma. Syrie James, hailed as “the queen of nineteenth century re-imaginings” by Los Angeles Magazine, is the bestselling author of nine critically acclaimed novels that have been translated into 18 languages. 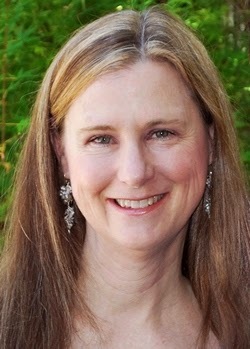 Her books have been awarded the Audio Book Association Audie, designated as Editor’s Picks by Library Journal, named a Discover Great New Writer’s Selection by Barnes and Noble, a Great Group Read by the Women’s National Book Association, and Best Book of the Year by The Romance Reviews and Suspense Magazine. Syrie is a member of the WGA and lives in Los Angeles. Please visit her at syriejames.com, Facebook or say hello on Twitter @SyrieJames. 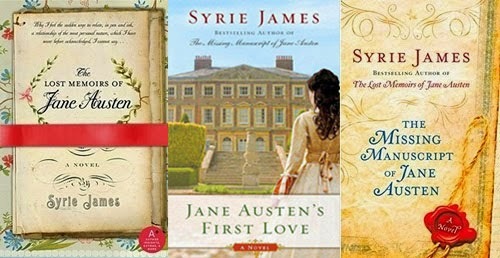 To celebrate the holidays and the release of Jane Austen's First Love, Syrie is giving away five prize packages filled with an amazing selection of Jane Austen-inspired gifts and books! To enter the giveaway contest, simply leave a comment on any of the blog stops on the Jane Austen's First Love Holiday Blog Tour. Increase your chances of winning by visiting multiple stops along the tour! Syrie's unique guest posts will be featured on a variety of subjects, along with fun interviews, spotlights, excerpts, and reviews of the novel. Contest closes at 11:59pm PT, December 21, 2014. Five lucky winners will be drawn at random from all of the comments on the tour, and announced on Syrie’s website on December 22, 2014. The giveaway contest is open to everyone, including international residents. Good luck to all! One of the greatest pleasures of being a novelist is that you get to climb into the minds and hearts of the characters you’re writing about, and bring them to life on the page. I enjoy writing many types of fiction, from contemporary love stories and romance to suspense and the paranormal, but one of my favorite genres (one I return to time and again) is historical fiction—and I particularly enjoy writing about real people. Choosing to tackle a famous historical figure, however, is full of challenges. I do an enormous amount of research, because I feel a great responsibility to portray them as accurately as possible. But novel readers aren’t looking for a biography or a simple recounting of facts; they want a narrative tale. They want active scenes, realistic dialogue, meaningful interior monologue, and a satisfying character arc. In short, they want the author to use his or her imagination to bring the person to life, while still honoring the truth of their known history. It’s a challenge I absolutely love! Jane Austen is one of my favorite writers, and my desire to give her a romance of her own inspired my first Austen novel, The Lost Memoirs of Jane Austen, in which a mature Jane has a passionate, life-changing romance with a dashing kindred spirit. My wish for a seventh Austen novel, and the speculation of how much fun it would be to find one, led me to write The Missing Manuscript of Jane Austen. 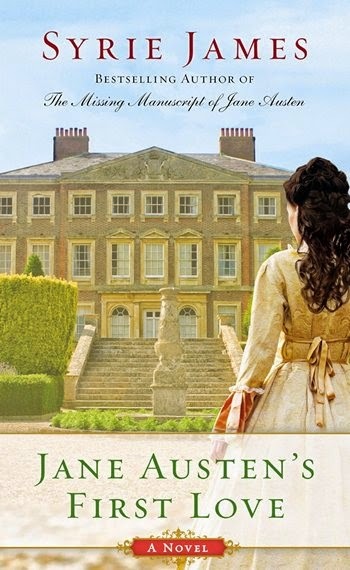 My new novel, Jane Austen’s First Love, differs from the others in several ways: the object of the youthful Jane’s affection, Edward Taylor, was a very real (and truly remarkable) young man; in fact, nearly every single character in the book is a real person who Jane Austen knew; all the manor homes they live in and all the places Jane visits are completely real; and the story itself is inspired by actual events in Austen’s life. 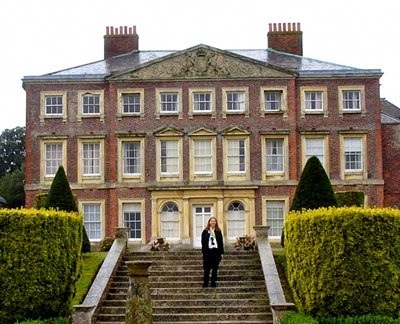 Austen scholars didn’t know much about Edward Taylor, except that he was heir to Bifrons Park, an ancestral estate some five miles from Goodnestone Park in Kent, home of the Bridges family (Elizabeth Bridges married Jane’s brother Edward Austen in 1791.) They knew, from Jane’s mentions of Edward Taylor in her correspondence, that she was deeply enamoured of him as a teenager. But that was about it. Imagine how excited I was when, after extensive research, I uncovered the truth about Edward Taylor—a treasure trove of information which Austen biographers weren’t aware of! Knowing that Edward Taylor was a real person who Jane Austen adored, and that I had in my possession so many little-known facts about him, was thrilling. My research (and the existence of Jane’s short story, “The Three Sisters”) led me to believe that Jane visited Kent in the summer of 1791 to celebrate the engagement of her brother Edward to Elizabeth Bridges. In my novel, Jane not only meets the young ladies who inspired that short story, she also meets and falls in love with the irresistible Edward Taylor, a young man who challenges her to see the world differently. I spent a great deal of time researching every single person in Jane Austen’s First Love, from the Austen, Taylor, and Bridges families and their offspring (Sir Brook and Lady Bridges had eleven children!) to their neighbors, cousins, and suitors. I learned about the history of Bifrons Park and Goodnestone Park, where most of my novel is set. In order to depict Goodnestone Park accurately, I visited the estate and was fortunate to get a personal, guided tour of the manor home and its vast, beautiful grounds by a member of the FitzWalter family—a descendant of the Bridgeses who Jane Austen knew over two hundred years ago. Jane Austen’s First Love was a challenge to write, but it was also a labor of love. I’m thrilled when people tell me how much they love the novel, and I hope new readers will discover it and enjoy the tale of the extraordinary young man who first stole Jane Austen’s heart! Thanks, Syrie! My review of the book will be posted tomorrow along with exciting details about a prize pack giveaway Ms. James is hosting! To celebrate the holidays and the release of Jane Austen's First Love, Syrie is giving away five prize packages filled with an amazing selection of Jane Austen-inspired gifts and books! To enter the giveaway contest, simply leave a comment on any of the blog stops on the Jane Austen's First Love Holiday Blog Tour. Increase your chances of winning by visiting multiple stops along the tour! Syrie's unique guest posts will be featured on a variety of subjects, along with fun interviews, spotlights, excerpts, and reviews of the novel. Contest closes at 11:59pm PT, December 21, 2014. Five lucky winners will be drawn at random from all of the comments on the tour, and announced on this page on December 22, 2014. The giveaway contest is open to everyone, including international residents. Good luck to all! Baby, it's cold outside! From the looks of the weather map in the mornings, it looks like most of you can relate. We've had a couple of hits of winter weather this week - a morning of black ice for the drive into work and yesterday our first real snowfall of the season. I'm ready for spring already! Although the snow was pretty. It's been a wedding weekend hangover week (not literally - golly, I didn't drink that much!). Between that and the cold, I haven't been able to convince myself to get much of anything done; I've hardly even made time for reading. I have gotten to spend quite a bit of time with Miss H (we see her more now that she's moved out!) and the better part of a day with my parents, so that's good! 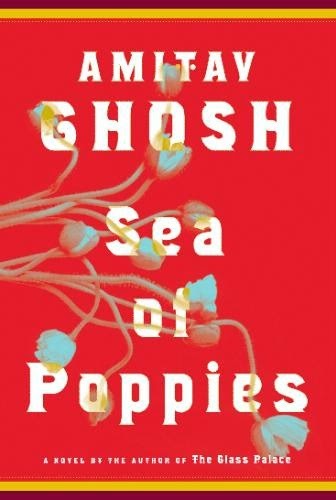 Listening To: Still listening to Sea Poppies by Amitav Ghosh. It's a little tricky to keep track of, a lot of characters with, for me, unusual names. Thanks to a road trip, I'm now about 2/3 of the way through it. Watching: Back to the usual this week. It's almost movie rental season for us and then I'll finally have something new to tell you about. Reading: Oops. Got well into The Secret History when I remembered that I needed to get this month's book club book read and I have a scheduled review this week. So, right now I'm racing through The Paris Wife and then it's on to Syrie James' Jane Austen's First Love. Making: Beef stew, chicken and noodles, chicken and wild rice, chili - you can really tell the temps tanked this week, can't you?! Planning: Nothing got done on Miss H's room until this weekend. The carpet is finally cleaned and today can start moving furniture in. This week will be about finishing that piece, moving my crafting and sewing things in, and figuring out how much of the stuff on the walls I can take down without upsetting Miss H too much. Even though the room is mostly empty, she still seems to think we'll leave it as is...just in case, you know. Grateful for: Good doctors and nurses. Enjoying: The kickoff of college basketball. 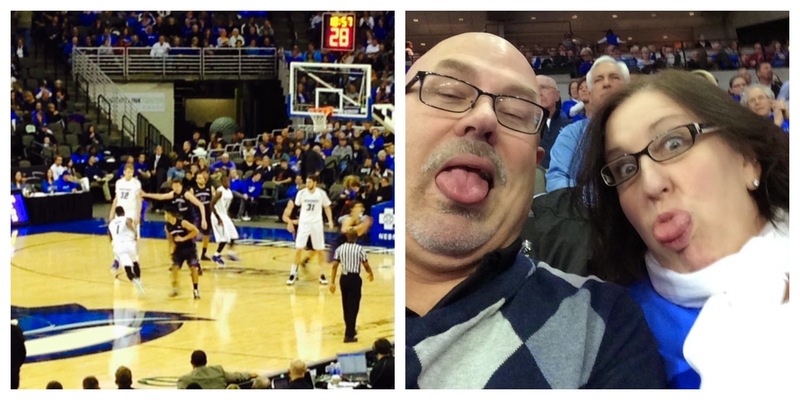 BG and I went to a game Friday night and had so much fun. Feeling: A little bit like a grinch. 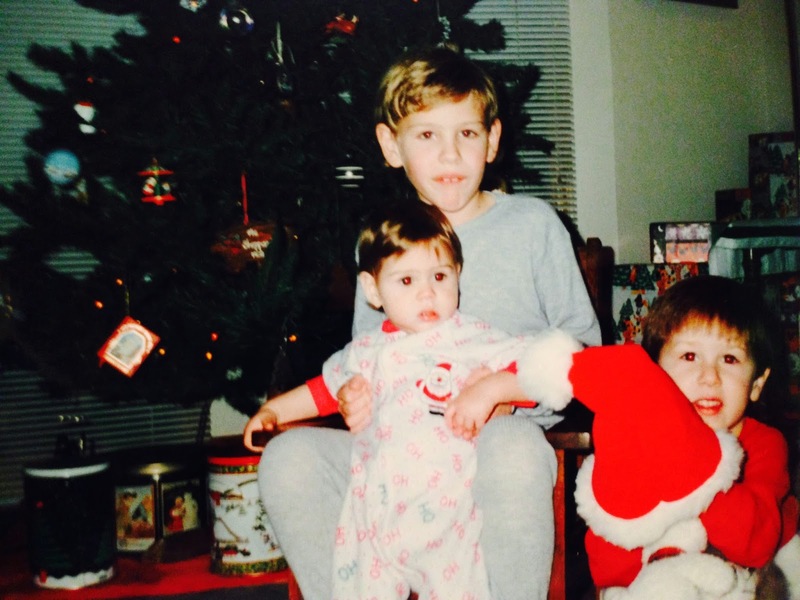 I'm really not ready for it to be the Christmas season. It's all just so overwhelming. Looking forward to: Book club on Tuesday! You know who some book summaries are dense and loaded with details, just like some books? 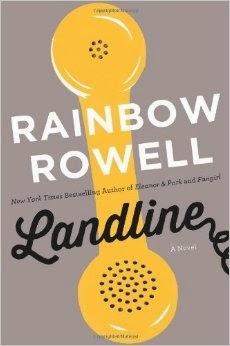 The publisher's summary for Landline should also give you a good idea of what you might expect in the book in terms of both story and style. Clutter free, a quick and easy read. Let's just address the elephant in the room right off the bat, shall we? 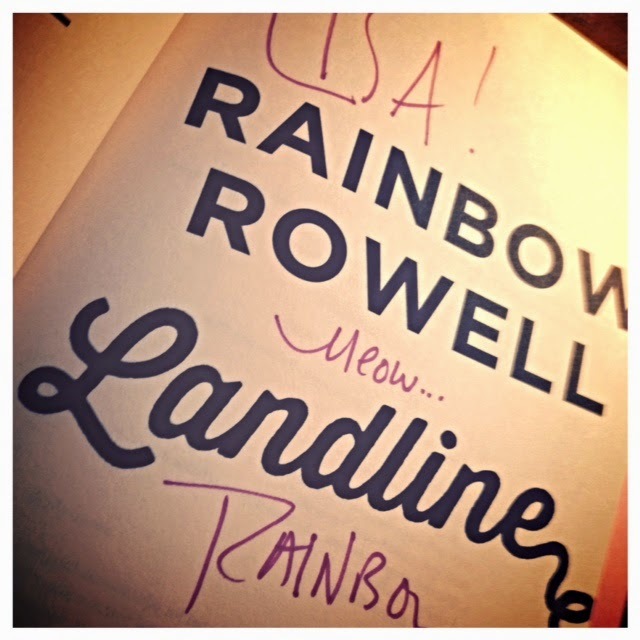 Spoiler alert - there's a magical phone in this book. Yep, that's the way Georgie finds to communicate with Neal in the past. And it's a problem for a lot of readers. Then there's this girl, who generally shies away from magic or fantasy in books. For some reason, I had no problem with that magical phone line at all. I couldn't figure out why but then I read a review, by Janet Maslin of the New York Times, who compared the magic in this book to the magic of an angel who gave George Bailey a look at what life might have been without him in the movie It's A Wonderful Life. I love that movie and I have no problem with that plot device to allow a character to develop, to rethink life. Likewise, as a plot device, I was okay with a magical phone to allow Georgie to rethink her life and her marriage. "It wasn't dancing. It was just a way to make the wedding last. A way to stay in the moment, rolling it over and over in their heads. We're married now. We're married. You don't know at twenty-three. You don't know what it really means to crawl into someone else's life and stay there. You can't see all the ways you're going to get tangled, how you're going to bond skin to skin. How the idea of separating will feel in five years, in the - in fifteen. 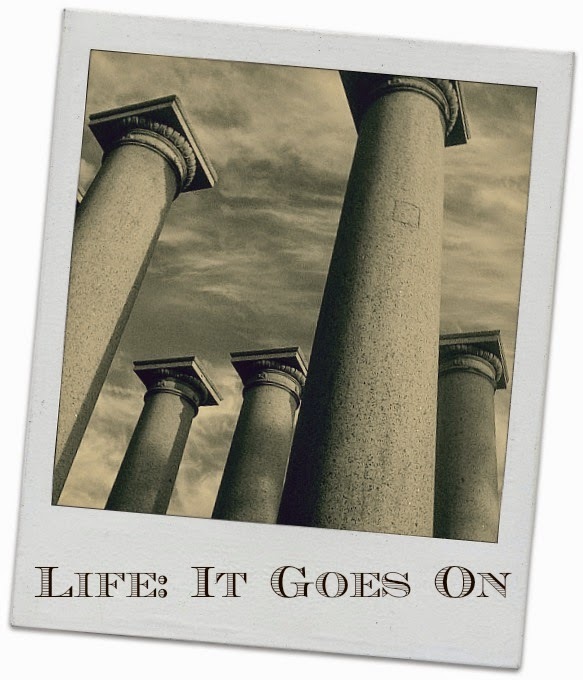 When Georgie thought about divorce now, she imagined lying side by side with Neal on two operating tables while a team of doctors tried to unthread their vascular systems. She didn't know at twenty-three." "Maybe Georgie had gotten a glimpse of it then, the way infinity unspooled from where they were swaying. The way everything she was ever join got be from then on was irrevocably tethered to that day, that decision." I got married two days after I turned twenty-two. I didn't know at twenty-two. But like Neal and Georgie, no matter what problems there might have been in our relationship then, we couldn't imagine life without each other. In most relationships, it's give and take. Even to Georgie, though, it seemed like Neal was the one doing most of the giving. She knew that; she just didn't know how not to make that happen. So when she was given the chance to talk to Neal in the past, she knew she had the chance to keep him away from her, to give him a life where he might get to do more of the taking. I loved "watching" her wage this battle in her head, loved "watching" her fall in love with Neal all over again, loved "watching" her think about what matters in her life and what she would be willing to give up to make someone she loves happy. 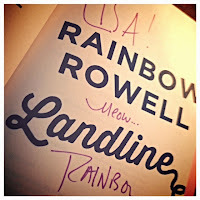 Mostly, though, I loved, as I always do with Rowell's books, the dialogue between the characters. It's such a vital part of all of her books and she is so very, very good at it. When Framboise Simon returns to a small village on the banks of the Loire, the locals do not recognize her as the daughter of the infamous woman they hold responsible for a tragedy during the German occupation years ago. But the past and present are inextricably entwined, particularly in a scrapbook of recipes and memories that Framboise has inherited from her mother. And soon Framboise will realize that the journal also contains the key to the tragedy that indelibly marked that summer of her ninth year. . . . This is the fourth book by Joanne Harris that I've read (I've previously read the Chocolat trilogy) and while this was very much a different kind of story from the others I've read, some things seem to carry throughout Ms. Harris' writing. All of the books I've read have been primarily set in small French villages, food and drink play a big role in all, and the relationship between a mother and daughter is a key piece of the plot. Oh yes, and what I call "Frenchness" for lack of a better word. With the backdrop of the German occupation and none of the magical realism of those books, this book had a darker tone than the trilogy. As so many books have done of late, here Harris blends together a story from the past with a story from the future. Fortunately, both of them belong to Framboise and she is a character well worth exploring, both as a willful, unhappy child and as a sad, bitter adult. 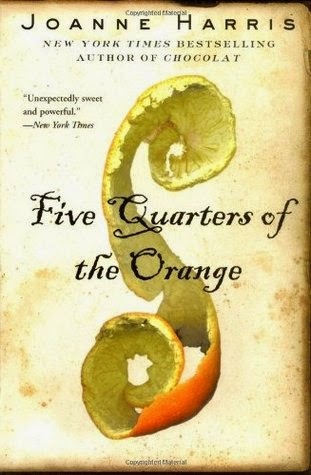 Although it lacks some of the charm of the first two books of the trilogy, Harris gets a little carried away with the food names, and it's certainly much harder to feel sympathy for what Frambois suffers as an adult, I enjoyed this book. As did most of the other reviewers found on the Barnes and Noble web page. Except, of course, Kirkus Reviews, which called the book "overwrought" and a "melodrama." And it is, a bit, but that doesn't make it any less enjoyable for fans of Harris who are looking for exactly what I found in this book...food, family, and Frenchness. The day we've been looking forward to for months arrived this weekend - the wedding of my nephew to a beautiful young lady we've considered family for some time. We're proud to officially call her one of us now! 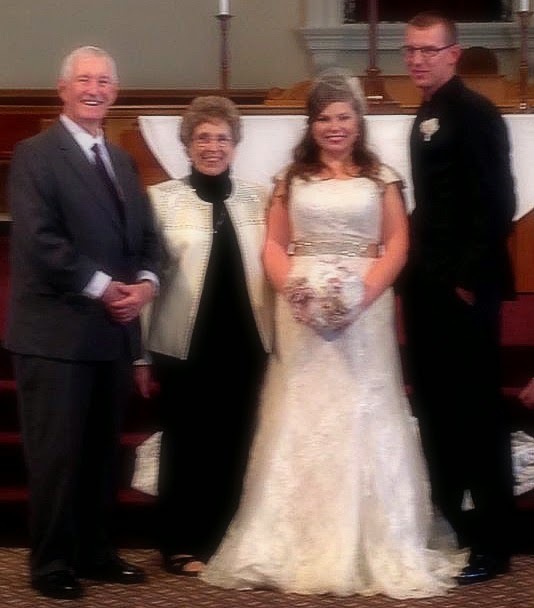 I think it's safe to say the bride and groom had a wonderful time and that if my new niece ever decides she doesn't want to be a social worker she would make a marvelous wedding planner. You'd think that a ten-hour round-trip journey would have allowed me plenty of time to read but with all five of us in the car, there was always someone to talk to and we haven't all five been together for a while. I think I might have read five pages in three days. Listening To: More hip-hop, pop, and country music at the wedding reception than I have listened to all year. My goodness did those kids have a great time dancing to it all; even Miss H, who had sworn she wasn't going to dance, was lured to the dance floor. Watching: My mother get up and line dance with Miss H, Mini-him and all of the other young people. Because eighty is only has old as you let it be! Reading: I did finish a couple of books last week and hope to find the time tomorrow to get reviews written. I've only just started Donna Tartt's The Secret History for the TBR Reading Challenge. Making: Coffee cake, raspberry-lemon muffins, and blueberry muffins for our shared breakfasts and brownies for our evenings (which we never ate because we didn't get back to the hotel until we were all exhausted both nights). Planning: On getting Miss H's room cleaned this week so that I can start turning it into my office. Even though the thought of that gave her some pause - she wanted to know what would happen if she wanted to move back home. You'd think having watched her brother move home twice, she'd have figured out it will always, deep down, be her room if ever she should want it. Grateful for: A family that loves each other so much, has so much fun with each other and loudly whoops when, in a wedding reception game, both the bride and groom agreed that his family was crazier than hers. Enjoying: Happy memories, looking at everyone's Facebook posts about the wedding, seeing the house my niece just bought and my new haircut. Feeling: Very tired. Is it possible that a hotel's queen-sized and all other queen-sized mattresses could actually be different sizes? Not. Comfortable. Can't wait to crawl into my own bed. Looking forward to: Definitely NOT the weather we have forecast for this week! Snow is a possibility and the high never gets into the 40's. 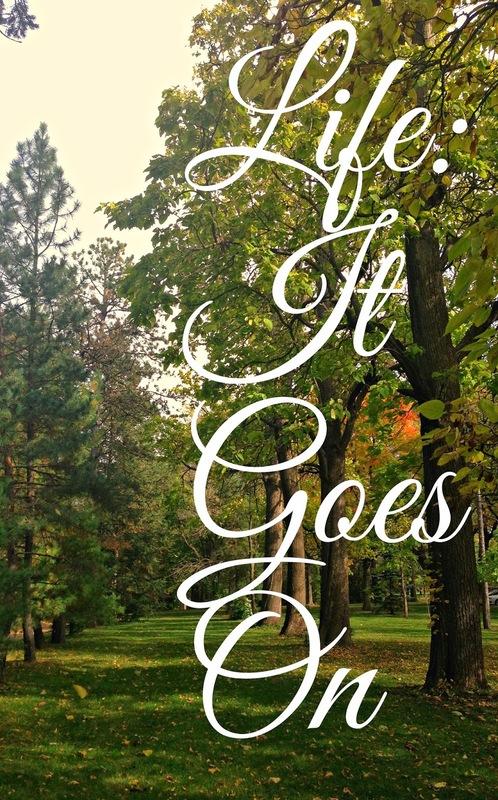 We've had such a great fall; it'll be hard to see it end! What are you looking forward to this week? What fun things have you done since we last talked? Because, hey, why not completely forget to review the biggest book you read this year, one of your favorite books of the year, one of the best book club choices we've ever had? While I can't say I can any longer speak to the specifics of the book, it has really stayed with me, even after all of this time. So maybe five months later really is the time to put down my thoughts. Let's just put it out there - even though this book won the Pulitzer Prize, a lot of critics didn't much care for it. They called it "overwritten" and "Dickensian." Those critics are right to an extent; Tartt could easily have cut at least 50 pages and nothing would have been lost (I'm looking at you Las Vegas!). In that way, I'd say it was Dickensian in a bad way (at least Dickens had an excuse - he was getting paid by the word!). On the other hand, it was Dickensian in so many great ways - an orphan boy, dubious guardians, shady friends who may not be the best influence, changes in fortune, and the girl our hero just can't stop loving. Tartt's writing is impressive. I'm not sure I've ever read a book that was better able to capture the feel of a setting. I swear I could smell dusty smoke after the explosion; Vegas felt desolate and lawless; and New York was two entirely different places - the shining Big Apple, bustling and bright when Theo first lives there but on his return darker, more dangerous, more stifling. There were so many things I loved about this book: considering how Hobie's benign neglect may have gotten Theo into much more trouble than he might have found himself in with another guardian, the way Tom Cable's and Boris' reappearance made me question the reliability of the narrator, the tiny details and the big, big characters. And then there's a REALLY BIG twist that I did not seeing coming at all. Neither did I have any idea how the book was going to end. Would there be any kind of a finality to Theo's relationship with The Goldfinch? 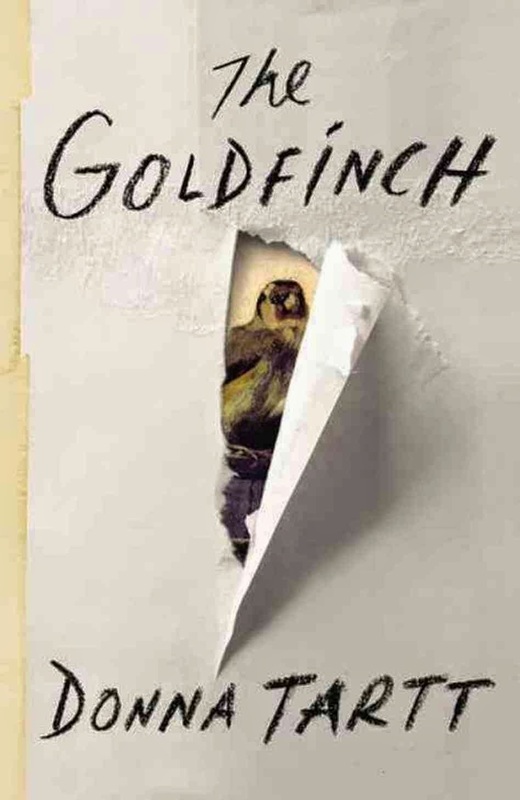 Despite it's flaws and it's ridiculous length, I really do think I might find myself, someday, rereading The Goldfinch. And that's the biggest compliment I can pay a book. 1.all of Jane Austen's Books - I'm not going to choose a favorite and not going to load up my whole list with Austen. 2. The Lovely Bones by Alice Sebold - it shocked me, it made me angry, it made me so sad. 3. 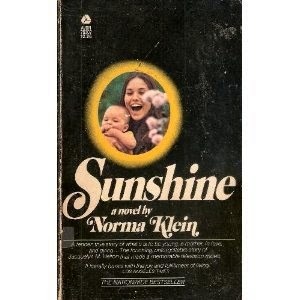 Sunshine by Norma Klein - a true-story, it made a young me face the idea that even young people die. 4. Bel Canto by Ann Patchett - I loved this one so much, I'm almost afraid to reread it for fear I will be disappointed. 5. City of Thieves by David Benioff - this book is one reason I stopped using the library; what if you loved a book and have to give it back? 6. 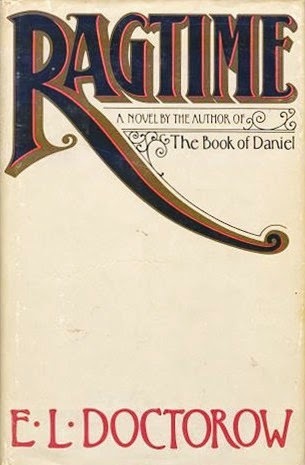 Ragtime by E. L. Doctrow - this may be the first book that had me racing to learn more about the real people included in a work of historical fiction. 7. Me Before You by Jojo Moyes - because it made me feel all of the emotions. 8. 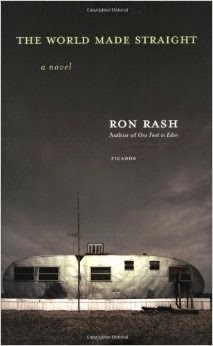 Serena by Ron Rash - now you know why I'm so looking forward to this one on the big screen. 9. Jane Eyre by Charlotte Bronte - because I get something new out of it every time I read it. 10. Chesapeake by James Michner - so great; imagine a book that starts with the migratory patterns of Canadian geese and yet is completely fascinating. How can you prove you're not an alcoholic? It's like trying to prove you're not a witch. Hildy Good is a townie. A lifelong resident of an historic community on the rocky coast of Boston’s North Shore, she knows pretty much everything about everyone. Hildy is a descendant of one of the witches hung in nearby Salem, and is believed, by some, to have inherited psychic gifts. Not true, of course; she’s just good at reading people. Hildy is good at lots of things. A successful real-estate broker, mother and grandmother, her days are full. But her nights have become lonely ever since her daughters, convinced their mother was drinking too much, staged an intervention and sent her off to rehab. Now she’s in recovery—more or less. Alone and feeling unjustly persecuted, Hildy needs a friend. She finds one in Rebecca McCallister, a beautiful young mother and one of the town’s wealthy newcomers. Rebecca feels out-of-step in her new surroundings and is grateful for the friendship. And Hildy feels like a person of the world again, as she and Rebecca escape their worries with some harmless gossip, and a bottle of wine by the fire—just one of their secrets. But not everyone takes to Rebecca, who is herself the subject of town gossip. When Frank Getchell, an eccentric local who shares a complicated history with Hildy, tries to warn her away from Rebecca, Hildy attempts to protect her friend from a potential scandal. Soon, however, Hildy is busy trying to cover her own tracks and protect her reputation. When a cluster of secrets become dangerously entwined, the reckless behavior of one threatens to expose the other, and this darkly comic novel takes a chilling turn. Almost from the first review I read of this one, I knew I was going to read it and almost equally certain that I was going to like it. The question was just "when?" When I was looking for choices for my book club this fall, I knew this one would make a good choice. I was right - about liking it and about it being a good book club choice. If I had an actual list of great characters (instead of the imaginary one in my head), you'd see Hildy Good on that list. In her private thoughts, Hildy reminds me somewhat of Olive Kitteridge (Elizabeth Strout's title character in her Pulitzer prize-winning novel). There's a dark side to Hildy, and it doesn't entirely have to do with her alcoholism. Unlike Olive, there's also a warmth and vulnerability to Hildy. You can't help but feel sorry for her - raised by a mother who suffered from severe depression, convinced by her father that the person that she loves isn't good enough for her, and discovering that her husband is, after fathering two daughters, gay. Lonely, Hildy latches on to Rebecca as a friend who doesn't know her history with alcohol. In fact, there's so much about Rebecca that impresses Hildy, that Hildy may have had a bit of a crush on Rebecca. No surprise then, that Hildy was not to be warned off of Rebecca, particularly with her increasing alcohol intake making her brain a little foggy. 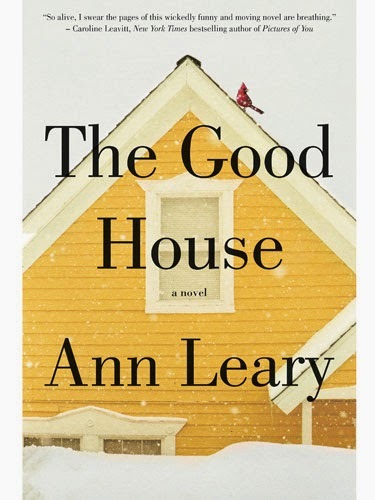 Leary builds a feeling of tension that feels much like a mystery novel and it works marvelously. I couldn't put this book down. There's a lot to discuss with The Good House. One of our Bookworms confirmed, from her own experience with alcoholism in her family, that Leary's depiction of this disease was very realistic. We talked about the impact of newbies in a small town, particularly when those newbies bring a wealth that can negatively effect those who have spent their lives in a town. We talked almost as much about Rebecca and her false front as we did about Hildy. I highly recommend this book for book clubs. Oh heck, I highly recommend this book for everyone! Happy November! Can it really be November all ready and the end of Daylight Savings time? That extra hour of sleep I supposedly got last night in no way makes up for the fact that it will now be dark by dinnertime for the next four plus months. What a week it's been at our house - we had a busy calendar any way and then Mini-him decided he needed far more help and guidance with his costume for NebrasKon (Nebraska's version of ComicCon) and Miss H got really, really sick. Wednesday she was diagnosed with strep throat. When she didn't feel any better two days later, she got in with her regular doctor and was also diagnosed with mononucleosis. Needless to say, it threw our packing plans way off kilter. She spent most of the week in bed and made packing decisions by thumb directions while I sorted through everything. Thanks to huge help from Mini-me and one of his friends, we got her all moved yesterday and she is largely settled at this point and very excited to begin this new part of her life. Listening To: Yesterday I spent several hours listening to one of Miss H's roommate's playlist as they unpacked. For a while it was the usual stuff you'd expect from a kid that age (some country music, some hip-hop, some pop). Then all of a sudden I realized I was listening to Buddy Holly. Before long we were hearing Johnny Cash and a little while later a couple of songs from the seventies. Gotta like a girl with musical tastes that varied! Watching: Nothing new this week. Sorry to see the Royals couldn't quite pull off the World Series win but what a great, unexpected, year they had. It was fun to watch them. Reading: If I hadn't been reading at lunchtime, I'm not sure I would have gotten any reading done at all. You'll notice that all of those books to the side have stayed the same all week. Making: Chocolate chip cookies for moving day and a Peter Quill (Guardians of the Galaxy) costume for Mini-him. We had to create leather pieces to make his boots look right and leather holsters then paint, paint, paint to get the details just right. Because this guy is a stickler about the details! That piece in the bottom right corner? 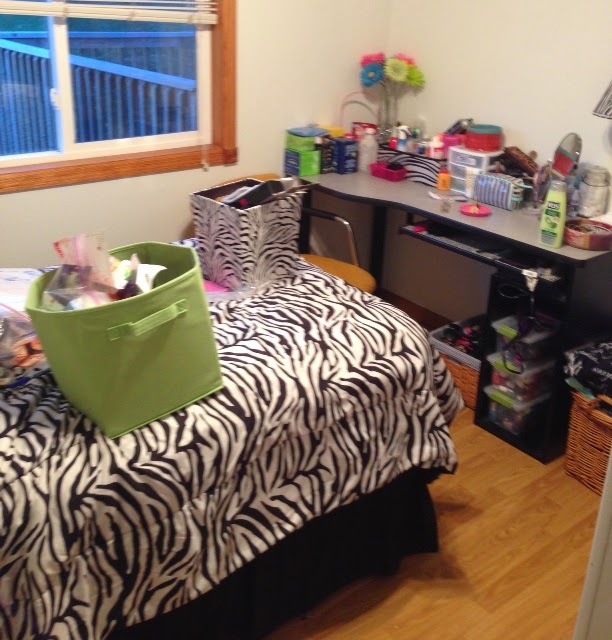 That's her dresser on the far wall. Planning: On getting the finishing touches on Miss H's new room this week. She needs some curtains and we've got to tweak some things with her room (which is much smaller than her room here) so it works better for her. Grateful for: Antibiotics and a nurse practitioner who took the time to really listen and get my girl what she needed and the full diagnosis. Enjoying: Seeing my kids happy, surrounded by friends. Feeling: Depressed. There; I said it. I'm not looking for sympathy; this is just something I live with that runs in my family. Sometimes it strikes for no reason. This time I know the reason and it's just a matter of working through it. Looking forward to: My nephew's wedding next weekend. I'm so excited for him and adore his wife-to-be. Can't wait to be with my whole family for the weekend!